This year we offer 2 competitions at one weekend to you again! On the one hand a FDDO and to another an AWI Qualifier! You have the possibility to compete at both or just at one of them. The order of events will be organized so that teams competeing both just have one additional round of freestyle. The first round of freestyle is played and judged together for FDDO and AWI. On Saturday we´ll play the complete AWI ( 2 rounds of freestyle, one for the FDDO competitors ,too ). On Sunday we´ll play the 2 distance competitions and the obstacles from the FDDO. The SHV Kirrlach takes care of your creature comforts. Cause it´s 2 competitions , everyone want´s to come home at time and we like to have a stress-free weekend, number of participants is limited to max. 40 !!! You can and may register soon! 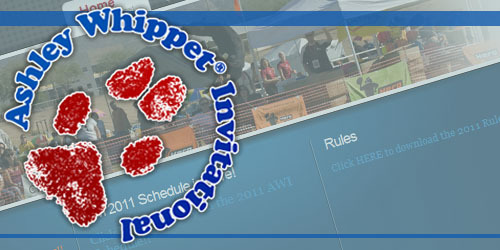 The AWI Qualifier includes a T&C and Freestyle Only event, it is possible to compete in additionaly. To the 2 in 1 event go here NOT in 2019!!! Overnightstay: Who likes to camp can do so directly on the playground! Please let me know if you like to camp for calculation! ....or you ask really charming.... then we will see what we can find for you. 1. All dogs must be leashed, in a kennel, or otherwise under the owner's control at all times. 2. 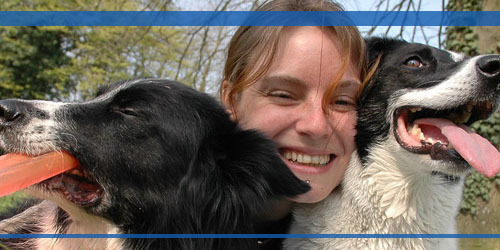 All canine competitors must have a current rabies inoculation and license at the time of registration. 3. 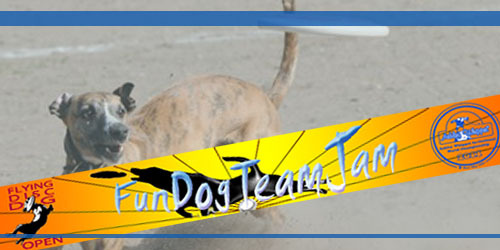 Female dogs in heat are not allowed to compete and may not be brought to the competition site. 4. Competitors are responsible for the welfare and safety of their dogs and themselves at all times. 5. Competitors are allowed to check up the playground before the event starts. If there are complaints it´s possible to tell the host for he can fix them.In case it´s not possible to fix the problem or the competitor is not satisfied he is allowed to resign from start. The host don´t assume liability for injuries etc. becuase of defects of the field.You can not claim the host. 6. Treats or food of any kind is not allowed on the playing field during competition. 7. Electronic training aids of any kind, active or inactive, are not permitted during competition.In worst case the host reserves the right to disqualify a team from competition. 8. Abusive language, boisterous challenges of every kind, confrontations with other competitors, or any other unsportsmanlike conduct will not be tolerated and will result in disqualification from competition. 9. The human half of every team has to clean-up after his dog. Also trash etc. has to be disposed of into therefore containers. 10. Every competitor is required to read and sign the registration form which contains a liability waiver at signup. 11. 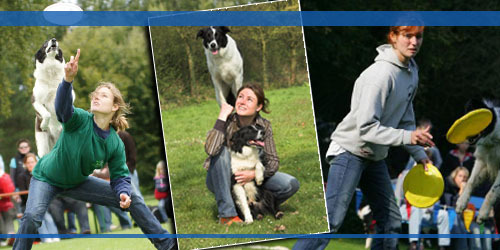 A dog has to have a minimum age of 18 month to be eligible to compete. 12. Every abusive treatment against a dog will not be tolerated. 13. Any dog that is perceived to be a medical or physical threat to other canine competitors/human competitors will not be allowed to compete and may be asked to leave the premises. 14.The official at the competition or the on-site veterinarian may be called on to ultimately determine whether a canine is fit to compete. 15. If necessarry the host reserves the right to chance or fit the rules. 1. In cause the event should be canceled from the host for some reasons, fees will be refunded to each team. You can not claim the host for other charges because of the canceled event. At the moment you register you confirm not to claim recovery of damages or others against the host. 2. Every competitor has to have a valid liability insurance for his dog and himself.And he confirms to liable for every damage at,during and around the event,cause through his dog or by himself. 3. Questions and obscurities have to be removed beforehand though competitor. 4. With sending your registration you confirm that you read,understood and acepted all disclaimers. Questions and obscurities about the disclaimers you have after you registered can be ignored from host. Campen : 5,- / night and person ( no power and showers ! ). The fee for the camping is to pay to the club. The club offers breakfast on Saturday and Sunday for 5,-. The SHV Kirrlach will offer sancks and drinks for lunch, the restaurant of the club is open for lunch ( small menu ) as well and will open for dinner time with the full menu. Registration is possible till 21.4. Please write at the subjectfield for which discipline you are paying ( makes it easier for us ). Your registration is valid when we recieved the fee. Campen: 7,- / night ( no power and showers ) . The fee for camping is to pay to the club. Registration is possible till 17.4.